Gelatin, Magnesium Stearate, Silicon Dioxide, Microcrystalline Cellulose, Color. Can I drink while taking PURPLE-K? How much water should I consume while taking PURPLE-K? Regardless of whether or not you are taking PURPLE-K, you should always consume about 2 liters of fluids per day and sometimes more, depending on your activity level. Do I have to cycle PURPLE-K? Bodybuilders all over the world are using PURPLE-K to achieve real strength gains. 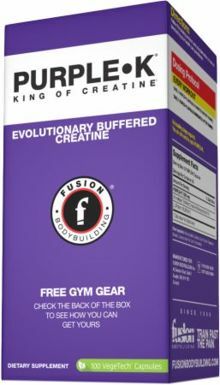 If you are an aspiring bodybuilder or a competitive athlete, male or female, looking to excel, then PURPLE-K is for you.